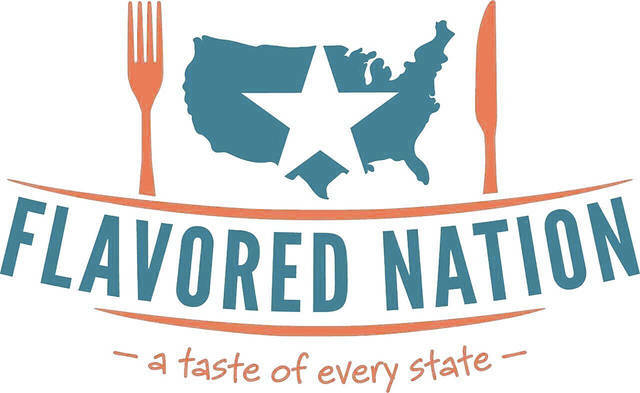 Flavored Nation will provide a taste of America, showing off the most iconic dishes from all 50 states. 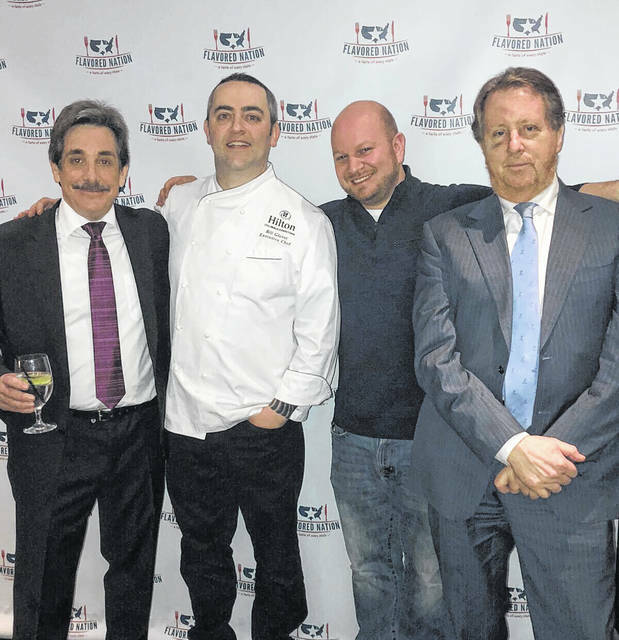 Pictured left to right is the brain trust behind the upcoming Flavored Nation event in Columbus: Rich Gore (spearheaded the event), Hilton Columbus Downtown Executive Chef Bill Glover, “Hell’s Kitchen” participant Jared Bobkin, and award-winning food journalist David Rosengarten. For food connoisseurs, the best part of traveling around the country is the ability to try local cuisines and dishes that are unique or special to the area. But perhaps you’ll never get to Alaska to try reindeer sausage or find yourself out west, enjoying delicious, yet healthy bison meat. An authentic Runza — one of Nebraska’s most treasured foods — may never be on your menu. Fortunately for you, for two days in August, Columbus will host top chefs from all around the states, whipping up their most iconic dish as Flavored Nation makes its way to central Ohio. The event will be held at the Greater Columbus Convention Center from 11 a.m. to 5 p.m. on Aug. 11-12. The convention center is located at 400 N. High St., just north of downtown Columbus. Tickets bought at the door will be $45, but they can be purchased in advance at a discounted price of $35. Children under the age of 5 will get in free. Those attending will be able to “eat their way through the 50 states,” as Rich Gore, the event producer and former president of live events at Food Network, put it. Booths will be set up for each state, and they will serve sample-sized portions of their state’s highlighted dish. Ten food tickets, one per booth, are included in the entry fee. Additional food tickets can be purchased inside the event. While the majority of dishes will be prepared by a chef from that state, Gore said 12 to 13 of the states’ dishes will be turned over solely to the top chefs from around Columbus, allowing them to put their spin on the iconic dishes. The reasoning behind that decision, Gore offered, is to amplify the Columbus culinary scene. Gore said he was looking for somewhere in the middle of the country to host this event because he felt that area didn’t get its fair share of food events. In looking for a city with a good culinary story to tell, Gore was tipped off about Columbus, although he was, admittedly, hesitant to believe the Columbus hype. Until he flew in and toured the city’s best restaurants, including The Service Bar, Rockmill Tavern, Wolf’s Ridge Brewing and Watershed Distillery. “Columbus is a really cool city, and I’m putting this event there because I believe in (the city),” Gore said. One dish per state was identified by David Rosengarten, a two-time James Beard award-winning food journalist and one of the first on-air talents at Food Network, along with social media polling and input from chefs around the country. Gore said the decisions on which iconic food to include for each state forced conversation and passionate dialogue from residents in each state, which created the “secret sauce” for the event. “We want to have fun with it, and we’re trying to be as authentic as we can out of the gate. We’re trying to appeal to as many people as possible. Not just the Food Network watchers, if you will, but more of the everyday foodies,” Gore stated. In addition to the 50 booths, there will be chef and bartender demonstrations throughout the day, as well as a libation lounge where there will be beer and wines to sample or buy. Gore called Flavored Nation a “Comic-Con of food” and said the plan is for the event to grow outward from Columbus to the southwest, northeast and southeast next year, but anticipates the event will be held in Columbus, a place he said he’s really come to love, for a very long time. More information on the event can be found at www.flavorednation.com. Presale tickets can also be purchased on the website. https://www.delgazette.com/wp-content/uploads/sites/40/2018/07/web1_Flavored-Nation-iconic-dishes-map.jpgFlavored Nation will provide a taste of America, showing off the most iconic dishes from all 50 states. https://www.delgazette.com/wp-content/uploads/sites/40/2018/07/web1_FN-braintrust.jpegPictured left to right is the brain trust behind the upcoming Flavored Nation event in Columbus: Rich Gore (spearheaded the event), Hilton Columbus Downtown Executive Chef Bill Glover, “Hell’s Kitchen” participant Jared Bobkin, and award-winning food journalist David Rosengarten.